As part of our role as Purflo's Blogger Of The Year, we are trying out some of their fantastic products to see what we make of them...we recently reviewed the Breathable Bed Nest which we're big fans of, and now it's Shleepy's turn! Shleepy is a perfect little comforter who has so many uses! He's snuggly, soft and ever so cute - 5 month old Noah found him really appealing as soon as he arrived, and 2 year old Tyne was pretty besotted too! 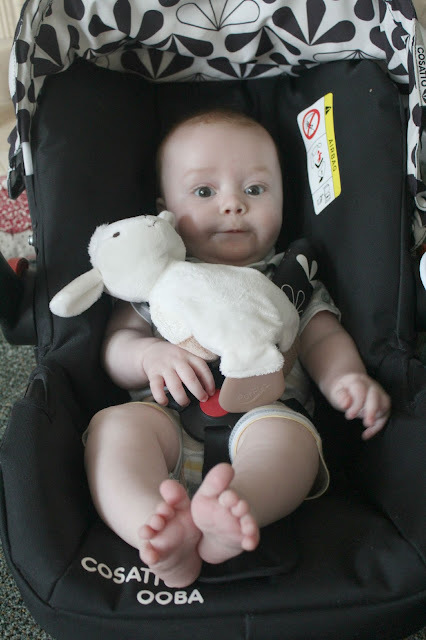 Noah is teething at the moment, and is really loving Shleepy's chewable Teether Toes - they seem to give him relief and comfort, and he's able to manipulate Shleepy's position easily to get them to his mouth all by himself which is great. Shleepy also has textured hooves which make for lots of fun, Noah is so inquisitive with textures and sounds at the moment so he loves playing with these and you can almost see his brain ticking over as he associates the movement of his hands with the sound and feel from Shleep's hooves. 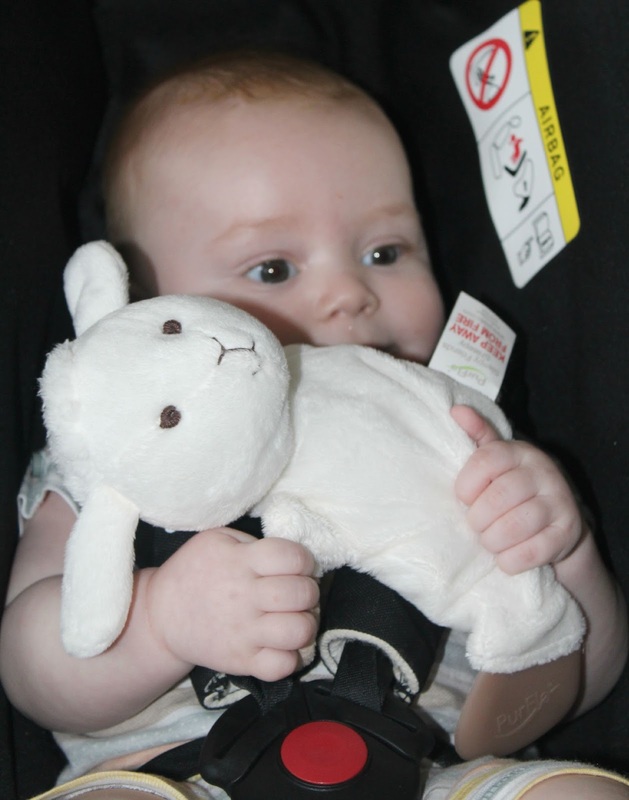 My personal favourite feature is the curly tail which is ideal for attaching babies dummy to at night time so it doesn't get lost, it also allows you to attach Shleepy to a car seat or pram so there's no danger of him being lost when out and about. Shleepy can be machine washed and tumble dried, so he's always ready for duty no matter baby (literally!) throws at him! 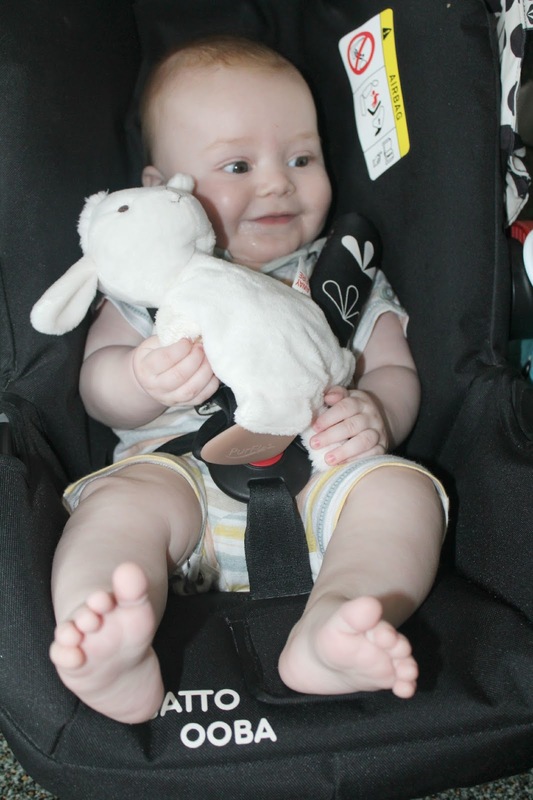 Noah has really taken to this super cute and super soft snuggly little friend, I think he makes the perfect baby gift for any new arrival. Shleepy is available from Purflo for £12.99 - click HERE for more details. This is so cute! And so clever as well, I love the little bits like attaching the dummy and the teether/hoof sound. Having something snuggly and machine washable is definitely good too.